When I progressed through the licence system over a decade ago I was taught that the foundation power limit referred to power measured at the radio, not the antenna. This was different to the other licence classes which specified power fed to the antenna, after feedline losses. Recently, when assisting a newly licensed friend with his first station, I checked the current licence conditions and was surprised to see the same wording for all licence levels; ‘power supplied to the antenna’. Speaking with other newly licensed foundation holders on-line it became apparent that some had also been taught the power limit applies at the transceiver output. I thought perhaps license conditions had changed over the years, so found a BR68 from 2001 via Ofcom (https://services.ofcom.org.uk/amateur-terms.pdf) and that very same wording confronted me again. If this is the case, why are we still teaching foundation licence holders otherwise? It could be argued that feed line losses and measurements are not covered until later in the syllabus, so perhaps much of this is irrelevant. However, I’m still curious how the misunderstanding has arisen. Could this perhaps be a hang-over from the old Novice class? Any comments or further insight appreciated! Note: With 50m of RG58 potentially suffering 3dB loss at 10MHz, that’s half an S point; perhaps enough to make or break a marginal contact. At 50MHz that almost doubles to 6 dB or 75% loss. 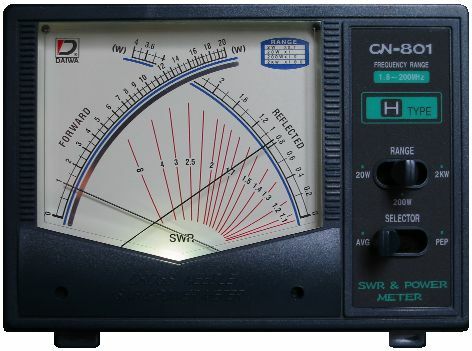 Calculating (or measuring) power at the antenna can make a significant difference, especially when operating QRP. This entry was posted in Uncategorized and tagged br68, dB, foundation, licence, limit, loss, power. Bookmark the permalink.